*Discount applied in cart with coupon MKTRECON. Offer ends April 13, 2015 11:59pm ET. 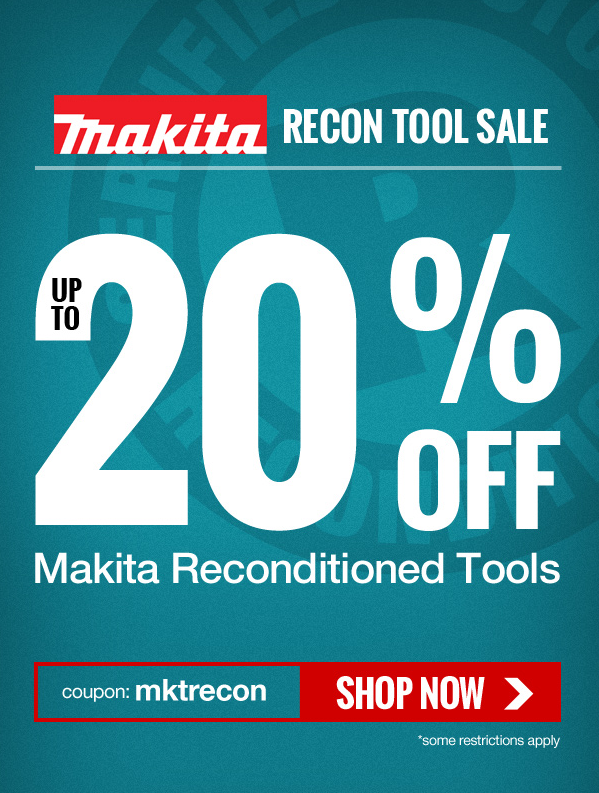 Valid on select Makita reconditioned items, qualifying items are identified on the product page.